Nintendo, which has been making large strides in innovating the video game genre over the past decades, has announced their next move by introducing a new toy series of some of their biggest franchises! Titled Amiibo, these new figurines act as both high-end collectibles for fans as well as offer a new means for users to interact with their Nintendo games. 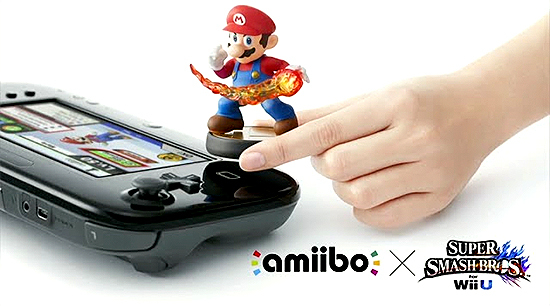 Taking cues from Activision’s Skylanders and Disney’s Infinity figures, Nintendo’s Amiibo toys will interact with video games by being scanned into a specially designed reader, and will be compatible with a variety of games on both the Nintendo WiiU console as well as the 3DS handheld system. The figures will be compatible with a number of Nintendo titles like Super Smash Bros. as well as the recently released Mario Kart 8, along with other unannounced titles in the future. These toys, which feature iconic characters like Mario, Yoshi, Donkey Kong, Link, Samus, and more, will release in December in a set of around 10 figures, with more to come in the future!